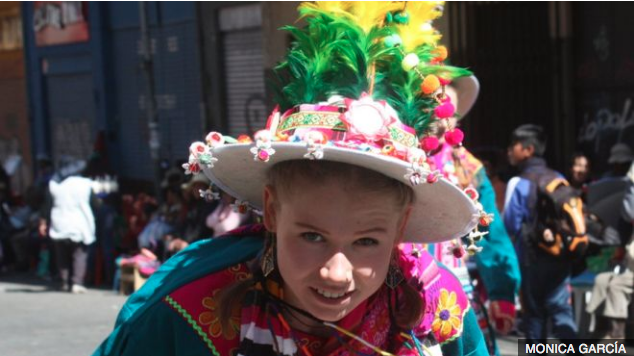 I picked this wonderful and colorful Bolivian folklore for today, as a tribute to the celebration of La Paz day! 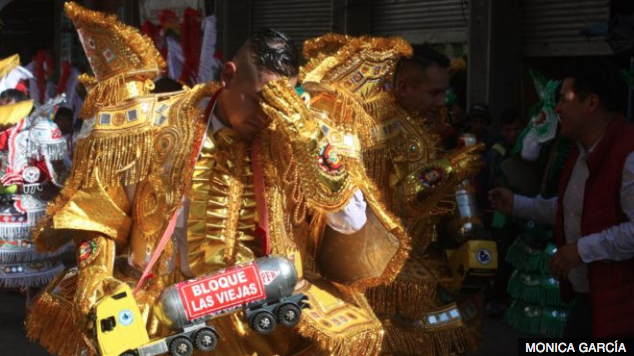 Opinion of Bolivian Thoughts. 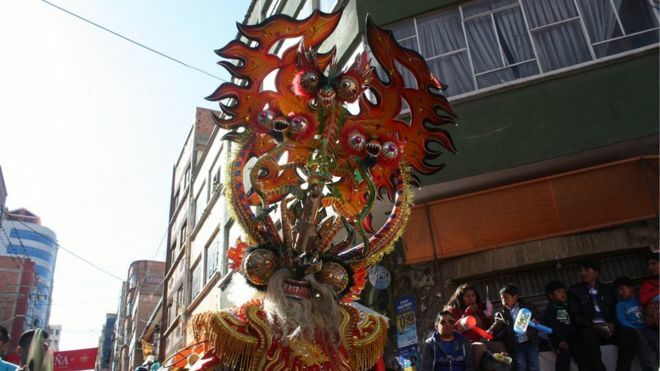 The festival of Señor del Gran Poder (Lord of the Great Power) is one of the biggest, most colourful and expensive celebrations in Bolivia. 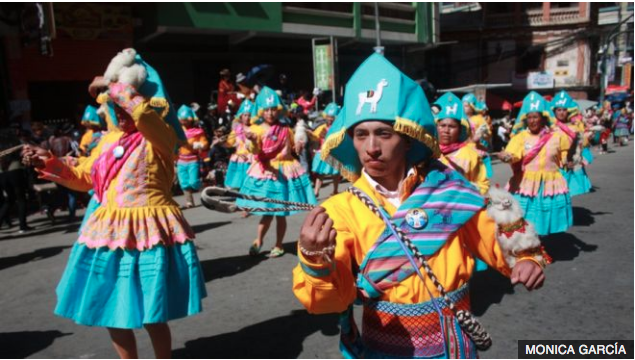 Celebrated annually at the end of May or the beginning of June in the city of La Paz, it is a fusion of indigenous beliefs and Catholicism. 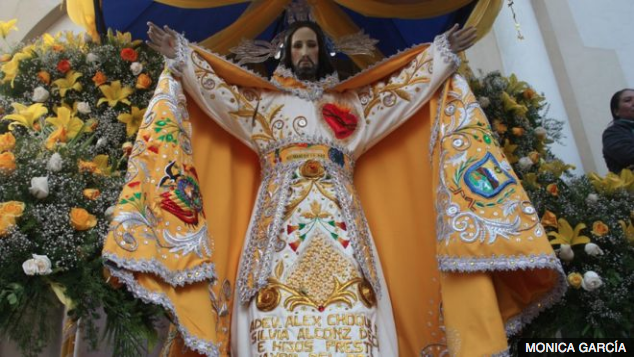 The festival honours Jesus Christ and his statue is central to the event. It is taken out of the church where it is normally kept and placed on a purpose-built altar in the street. All dancers stop and pray in front of it, often trying to touch its embroidered robes. 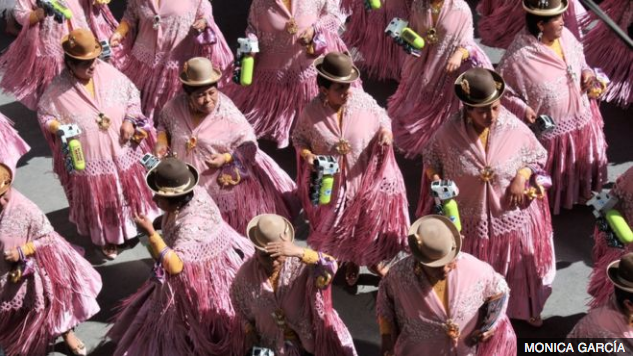 Tens of thousands of people take part in the event, with many women wearing the colourful shawls and bowler hats typical of indigenous Aymara attire. 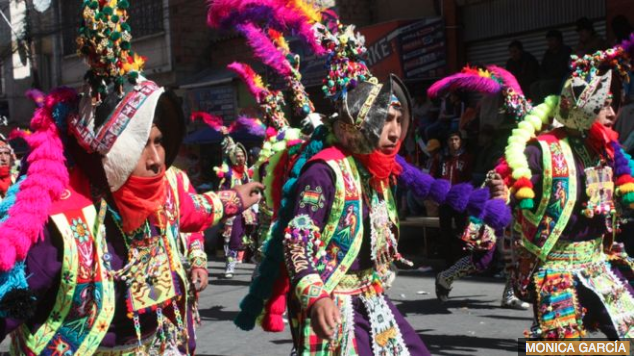 Dancers parade through the streets for hours along a route several kilometres long and the high altitude – the city is 3,500m above sea level – can get even to the hardiest of participants. 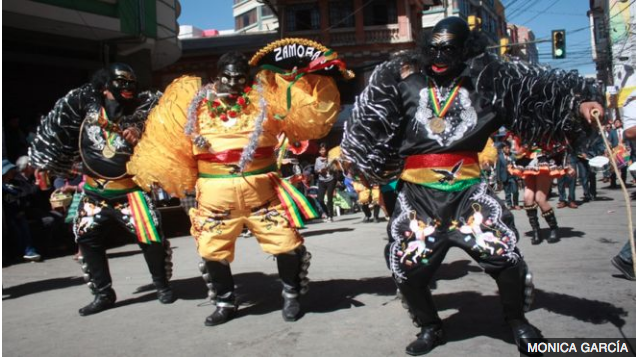 The festivity draws visitors from all over Bolivia and further afield to the city and provides a massive boost to its economy. According to the local authorities, the festival has grown from a $52m-turnover six years ago to $115m this year. Embroiderers, tailors, goldsmiths, hairdressers and make-up artists play a key role in the preparations for the event, which start eight months ahead of the festivities. 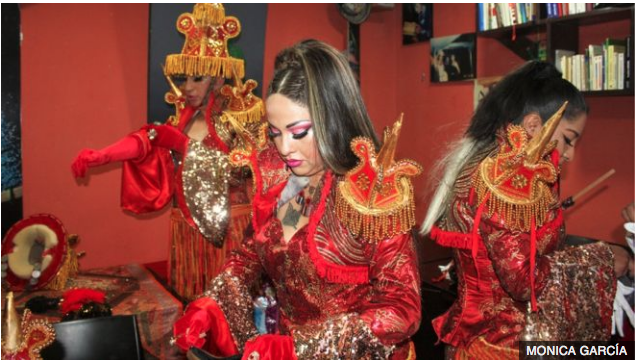 The costumes are highly elaborate and richly adorned and can cost hundreds and sometimes even thousands of dollars. 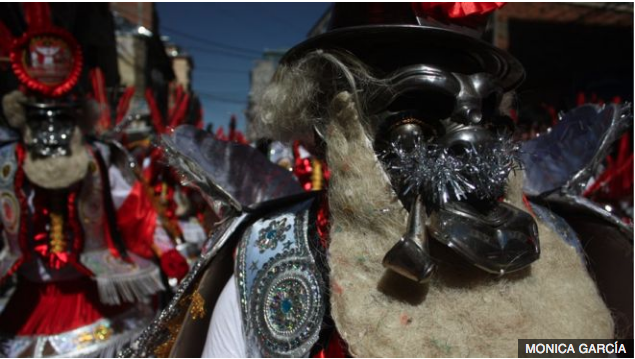 Masks and headpieces are key to many of the dances and can sometimes dwarf the dancers who wear them. 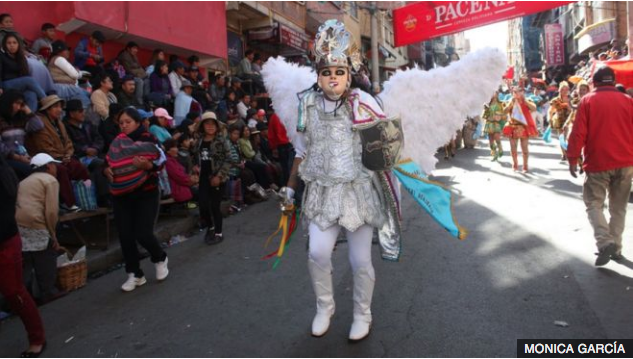 While many of the participants are Aymara, dancers come from abroad as well to take part in the parades and dances. Many of the costumes are based on the the struggle of good against evil, angels against devils. The forces of good are led by Saint Michael. In the end, good always triumphs over evil and the devils are defeated.